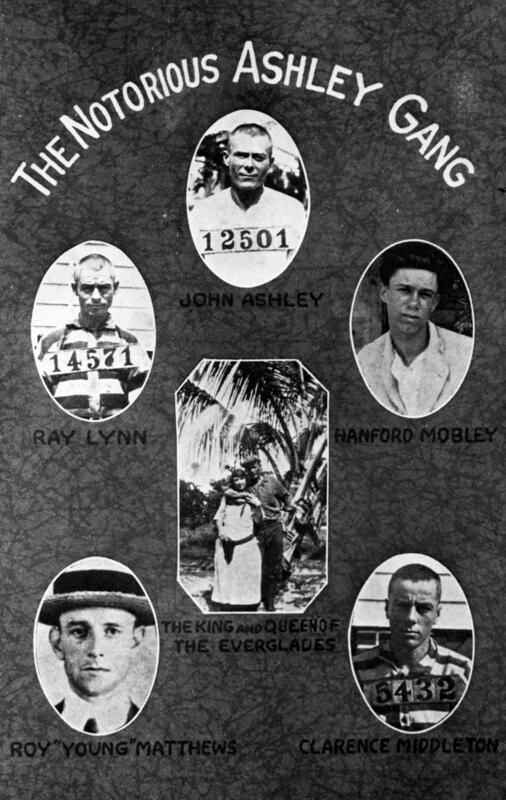 The Ashley Gang was a notorious band of robbers and murderers that ran roughshod over South Florida during the Prohibition era. Many of the gang was from the same family. They concentrated on robbing banks, but when Prohibition started they began pirating illegal booze from rum runners and escaping into the Everglades where John Ashley’s girlfriend, Laura Upthegrove, known as Queen of the Everglades, had a hideout. Learn more about this notorious band of killers, their escapades during Prohibition, and how they met their demise, in the book Run the Rum In.